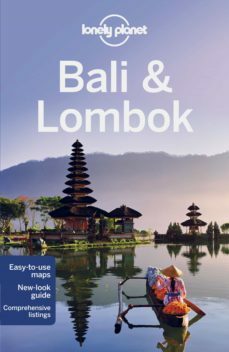 Lonely Planet will get you to the heart of Bali&LombokBali&Lombok’s beaches, surfing and diving are all a major draw to this pocket of paradise, but it’s the essence of Bali - the Balinese and their culture - that makes it so much more than a fun-in-the-sun retreat. Inspirational images, city walks and recommendations from our expert authors.Planning features and top itineraries to help you plan the perfect trip.Local secrets and hidden travel gems that will make your trip unique.Plus guide to Bali’s best beaches, feature on Bali’s food and drink, and details of the region’s top art experiences. Coverage includes:Planning chapters, Kuta, Seminyak, South Bali, Ubud, East Bali, Central Mountains, North Bali, West Bali, Lombok, Gili Islands, Understand and Survival guide chapters.